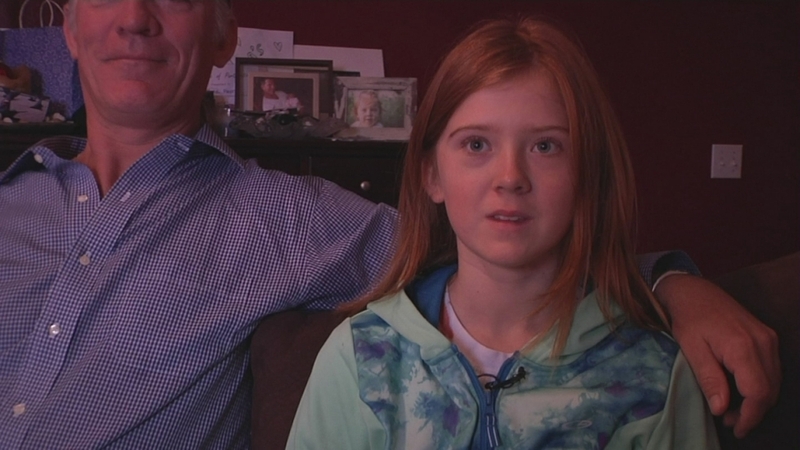 A young girl's family is speaking out after a TSA agent patted her down for nearly two minutes at an airport over the holiday break, leaving the girl feeling like screaming. Her father shot video of the incident at an airport in North Carolina, for a flight back to San Diego. Kevin Payne told NBC San Diego he's all for airport security and making sure people have a safe trip, but he and his daughter feel the pat-down was uncomfortable, long and inappropriate. "My dad was making funny faces silly faces in the mirror and I felt like screaming the whole time," said 10-year-old Vendela. It began with a Capri Sun drink mistakenly left in Vendela's bag in the security line at Raleigh-Durham International Airport, the family said. Flagged for extra screening, Vendela was patted down for nearly 2 minutes. Payne said the agent's actions were invasive: "It was an uncomfortable situation." A TSA representative had no comment, and said that as of noon Monday, the agency was not aware of any attempt by the family to contact agents. According to the TSA's website, screenings determine whether prohibited items are concealed under clothing and that sufficient pressure must be applied in order to ensure detection. But it also states that screening procedures has been modified for children 12 and under to reduce the likelihood of a pat-down screening. Payne said he thinks the pat-down in this case seemed to be the officer's go-to option. "My goal was just to clear security as quickly as possible so we could make our flight even though I knew that in my mind they shouldn't be doing what they were doing," Payne said. "I didn't want to make an issue of it there or then because it wasn't the time or place and I didn't want to further traumatize my daughter." His daughter, who had never gone through this kind of screening, said she kept herself together because she didn't want to "throw a tantrum like a 1-year-old." Vendela has seen the video, and hopes agents would focus on people who might try to hurt others on the plane, not kids. "I know it's to keep everybody on the plane safe, but she kept patting me down," Vendela said. "Pat down, pat down. It was like, over and over." In all, the pat-down and other extra screenings took about an hour, Payne said. The only way the family made it onto the plane was because it was delayed.